This tattoo is from the same artist as the previous post. This free tattoo design is about antiwar. 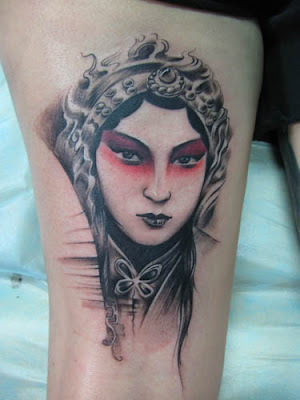 This tattoo design is a face from Beijing opera. 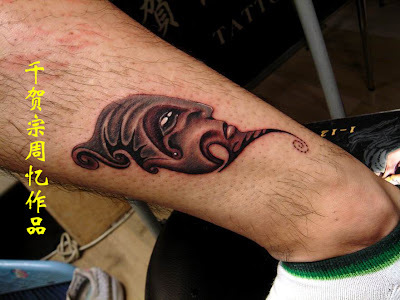 What the heck is this tattoo? No idea. Kinda totem, the only thing I am sure is that this is a face with a bright eye. An amazing tattoo. 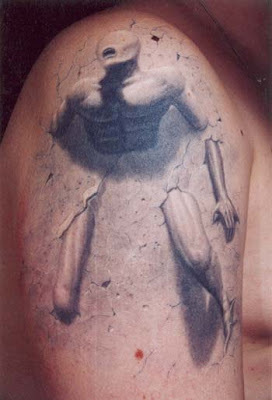 Really fantastic technique to tattoo such a whooping statue on the skin. Another tattoo with very vivid color. 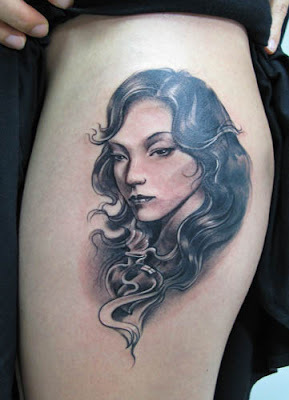 Also, this tattoo is designed well that it does not feel girly to ink a girl's face on a man's arm. 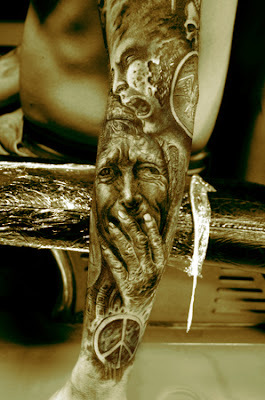 This arm tattoo design is just ok at the first glance. 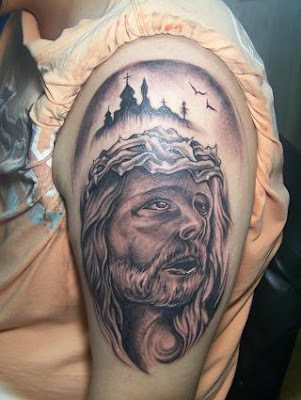 However, if you see the neck of this guy in the tattoo, you will know how weird it is. 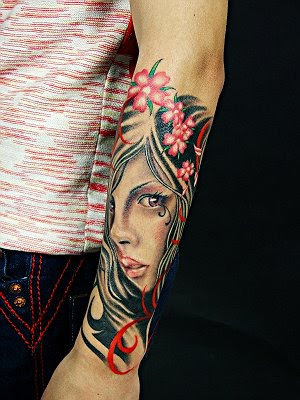 Starting from this post, I will post some tattoos with vivid colors. This tattoo shows both the western and eastern culture. 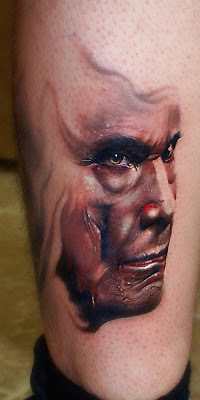 This tattoo is gorgeous - more like an oil painting. 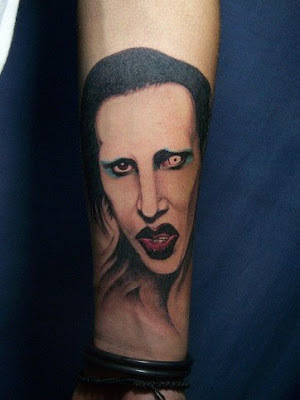 The eyes of this tattoo is especially good.